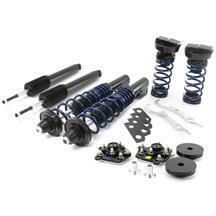 Dial in your Mustang's stance while improving handling with an SVE Mustang Coilover Kit! Whether you're at the track, or the car show, this SVE coilover kit provides you the versatility to dominate both! An adjustable ride height allows you to lock in the perfect center of gravity to optimize performance at the track, as well as eliminate your fender to wheel gap at the car show! 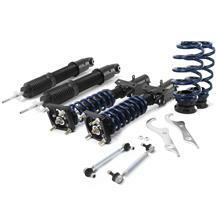 All of this is achieved while maintaining a comfortable ride quality!